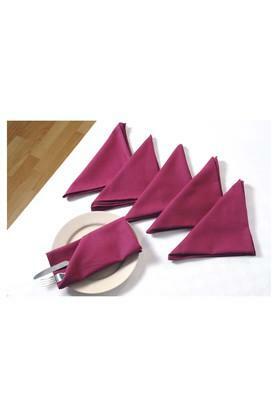 Enhance the look of your dining table by using this set of six napkins. It has been crafted from a superior quality fabric and hence it can be maintained easily. It also features a solid pattern that is further enhanced by a beautiful shade. Opt for this beautiful set of six dinner napkins brought to you by the reputed brand, Swayam.